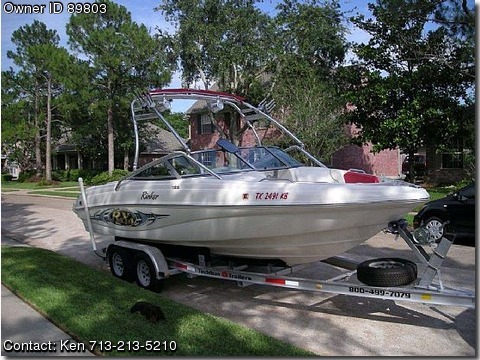 This 2005 Rinker RX 1 shows as good as the day it was new. sound system, Big power, Big look. removable trash container, Under-seat storage, In-floor storage. cruise control, custom bow filler cushion. coat, cuts or flaws in the seating area.